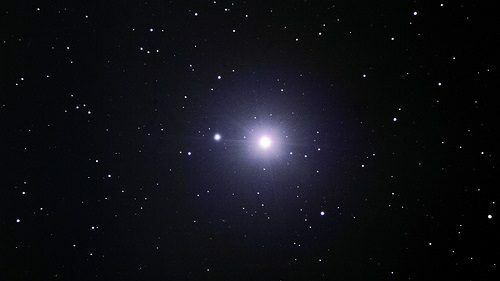 Fixed star Dubhe, Alpha Ursae Majoris, is a 1.8 magnitude yellow star on the back of the Great Bear, Ursa Major Constellation. The traditional name Dubhe comes from the Arabic word for bear. 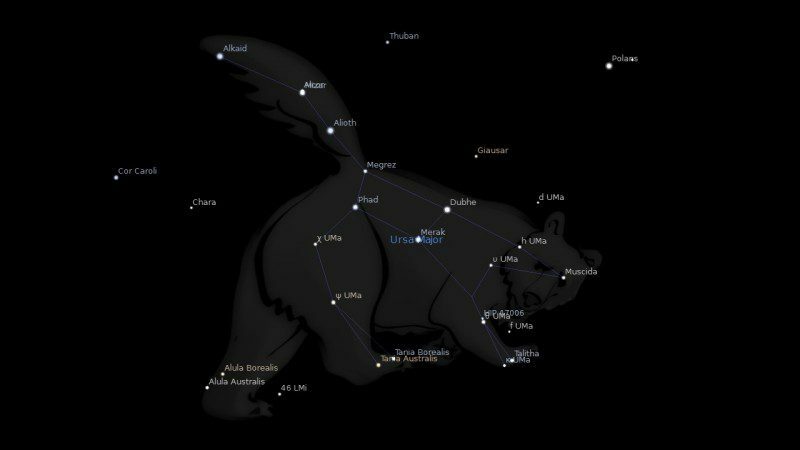 The original phrase was ظهر الدب الاكبر‎ żahr ad-dubb al-akbar which means the back of the Greater Bear. Another traditional name is Ak which means The Eye. 4. The Living Stars, Dr. Eric Morse, 1988, p.145. I cannot say for either of us to be destructive…. I would say more research needs to be done before stating this is a destructive star. Ebertin only gives those two examples after all. The 1889 Oklahoma Land Rush Event Astrology had Dubhe conjunct Saturn. One of the most disastrous free land handouts in US history that resulted in the displacement of hundreds of thousands of natives. People were told they weren’t allowed to cross the river until 12 Noon into what was nomadic indian land and would become Guthrie Oklahoma population 10,000 within 6 or 7 hours. The north Node was set completely in the center of cancer and Mars was Conjunct Venus in Torus.